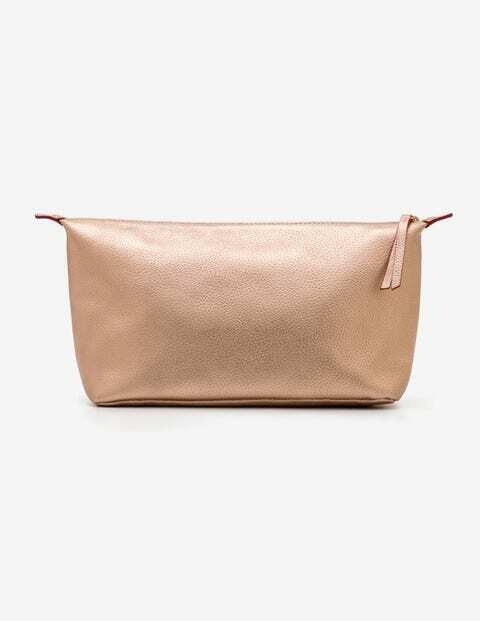 This stylish washbag is soon to become your favourite travel companion. Crafted from grainy metallic leather with contrasting details, it's at home in any five-star hotel. The spacious size keeps all your favourite toiletries safe, while the waterproof lining ensures any spillages don't put a damper on your trip. Got a globe-trotting female friend in your life? This would be the perfect gift for her too.